I want a different Marin County. Don’t get me wrong: I am utterly in love with the one that exists today. I suppose a more precise phrase is, I want a better Marin County. Often, Marinites point to the fair landscape and bucolic towns as evidence that we are forging a better way forward that the rest of the country. In doing so, however, we ignore the problems right in front of us: car dependency, incoherent master plans, and the acres of parking that rob otherwise quaint downtowns of valuable space. I write here to point out these flaws. I want a Marin County where owning a car is optional, where the village character of our towns is maintained and not marred by traffic. I dream of a Marin County where Novato’s downtown is vibrant and alive, where the Civic Center is a walkable destination, Fairfax isn’t anchored by a supermarket parking lot, and the Village really is a village center. We are an example for the nation is conservation and growth boundaries; it’s time we became an example to the nation for land use and transportation, too. My name is David Edmondson. Three years ago I moved to Washington, DC and became enamored with urban living, transit, and the power it has to transform communities. 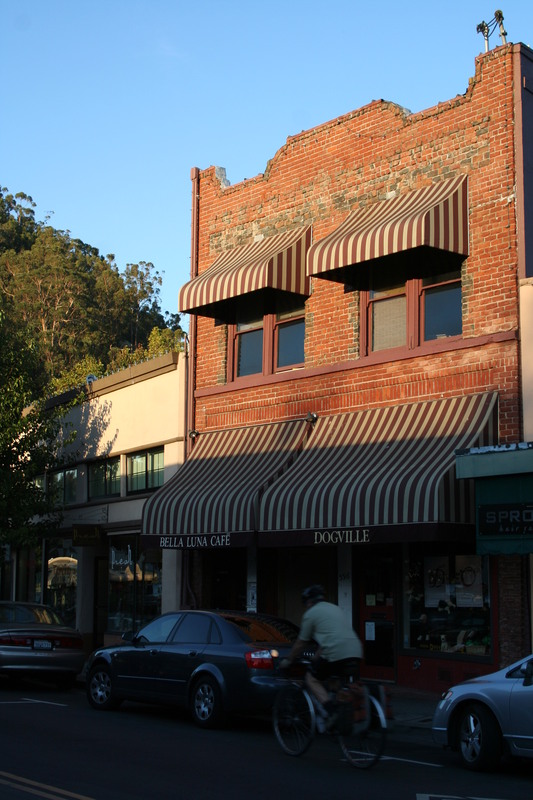 My interest returned to my hometown, San Anselmo, and the unique problems faced by the town and its neighbors as they begin to move towards a more sustainable future. This blog is a place for me and my readers to explore the wide world of transit in Marin and, occasionally, further afield. My goal is to update with a major article every Monday morning and link rundown every Wednesday, so as to better distract you at work. Still, this is principally a work of advocacy: these are not idle musings. I will always push for a healthier, safer, more livable Marin, no matter how far removed I am from her golden hills. Welcome to The Greater Marin.